In this beloved town at the heart of the Albemarle-Pamlico estuary, everything begins and ends with the water. By 6 a.m., the morning tide has arrived on the doorstep of Mom’s Grill, a weathered convenience store several blocks from the Pamlico River. An eclectic mix of sleepy-eyed residents — nurses, construction workers, farmers, and fishermen — seeks the solace of breakfast and a familiar anchorage. They crowd into the snack aisles and wait for Helen Keyes to holler their orders from the kitchen. “What you want?” she calls out to the next customer. And then jokes, “I want a million dollars!” before he has time to answer. Like a mother osprey nudging a nest of fledglings, she shoos them off one by one, each clutching a brown paper bag filled with warm biscuits. At 65, Miss Helen, who grew up in this waterfront town of nearly 10,000, is the purveyor of perfect grits, old-time chicken pastry, and bread pudding so good it often sells out before the lunch crowd even arrives. But it’s her eastern-style cheese biscuits, freshly baked with a generous chunk of melted cheese encased inside, that has everyone from bankers to church ladies pouring in from across Beaufort County. The recipe was whispered to her on the Saturday morning 31 years ago when she first stepped into the kitchen, which she now runs with the efficiency of a cheerful ship’s captain. “The secret is the cheese. The sharper the better,” she tells me with a wink, after I’ve sworn three times not to ask about the recipe itself. Regular customers know better than to ask. Tom Stroud stops by periodically for biscuits on his way to the harbor, where he’s director of the North Carolina Estuarium, an environmental education center celebrating the Albemarle-Pamlico estuary. An extraordinary intersection of fresh and salt waters, the estuary comprises a 30,000-square-mile watershed, second in size only to the Chesapeake Bay. At the heart of this natural wonder sits the town of Washington. Like Miss Helen’s kitchen, the estuary is a welcoming hub of diversity and shelter. Like Miss Helen’s kitchen, the mud and the estuary are a welcoming hub of diversity and shelter. The estuary’s mixture of fresh and salt water creates a nearly perfect nursery and home for a wide variety of sea and river creatures, such as trout and sea turtles, flounder and puppy drum, and even the occasional bottlenose dolphin. North Carolina’s official toast, which proclaims us as a state “where the weak grow strong and the strong grow great,” is never more on display than in this estuary, where 90 percent of the commercial seafood caught in North Carolina spends at least some of its life. The benthic layer, which shelters and feeds many, also provides a winter home for male blue crabs. They tuck into the mud and lie dormant until spring, when the estuary explodes with new life, and instinct inspires them to emerge and mate, a rite of spring that also stirs local crabbers to ready their pots. Many of the world’s great cities are entwined in estuaries. London has the Thames. Baltimore has the Chesapeake. Washington has the Pamlico, which actually begins life as the Tar River in Person County. After meandering through the Piedmont, it passes under the Highway 17 bridge in Washington, where it falls into the arms of the estuary and is renamed the Pamlico. Centuries ago, the Tuscarora and Algonquian Indians fished these plentiful waters. 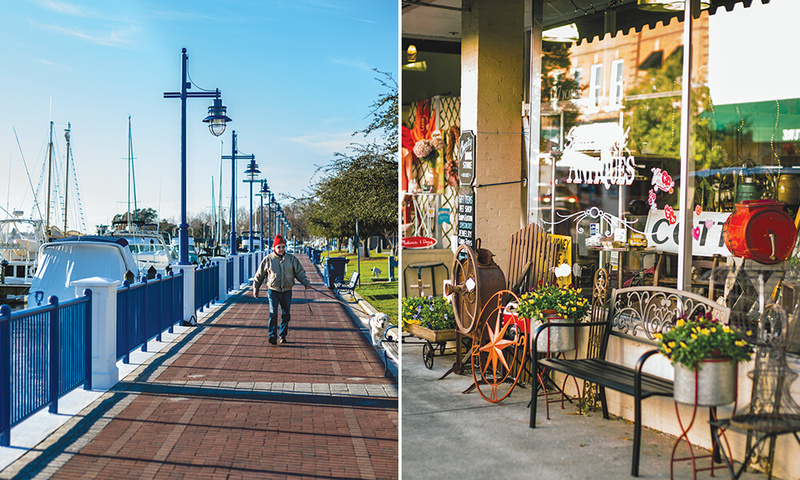 By the 1700s, the town, with its navigable waterway and access to the sea, had become a vibrant port with merchants trading in tar and lumber, among other things. During the Revolutionary War, it took on strategic importance after the British seized Charleston, Savannah, and Wilmington. In the early 1800s, the harbor became a secret way station for enslaved African-Americans escaping by sea on the Underground Railroad. 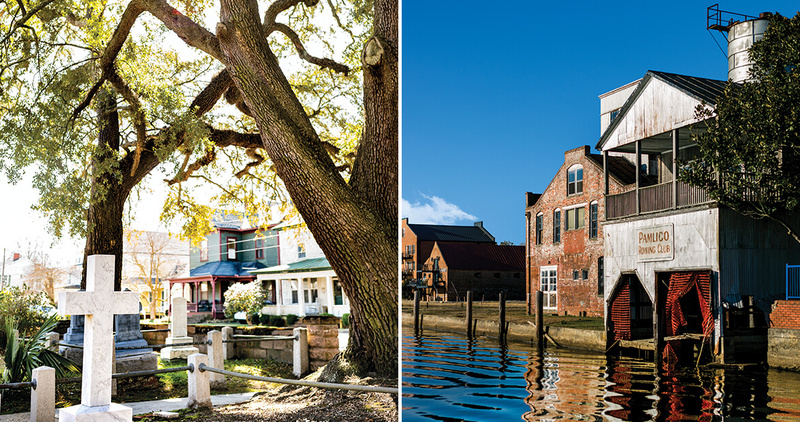 A self-guided walking tour includes neighborhood streets that showcase historic homes, one of which still has a Civil War cannonball wedged in its side. Under the spell of spring, their freshly swept porches spill over with dusted-off wicker chairs and ferns set out after a winter indoors. Along the tour is the St. Peter’s Episcopal Church cemetery, with live oak branches reaching to the street. In the corner is the grave of Col. James Bonner, upon whose farmland this bountiful estuary town was established, and, by 1776, named in honor of George Washington, his beloved general. That’s 15 years before the other Washington got its name. Some locals prefer the moniker “original” Washington to the more common nickname “little” Washington, which doesn’t quite measure up to the rich history and resilient citizenry here. After all, this is a town that has survived three destructive fires and countless hurricanes. 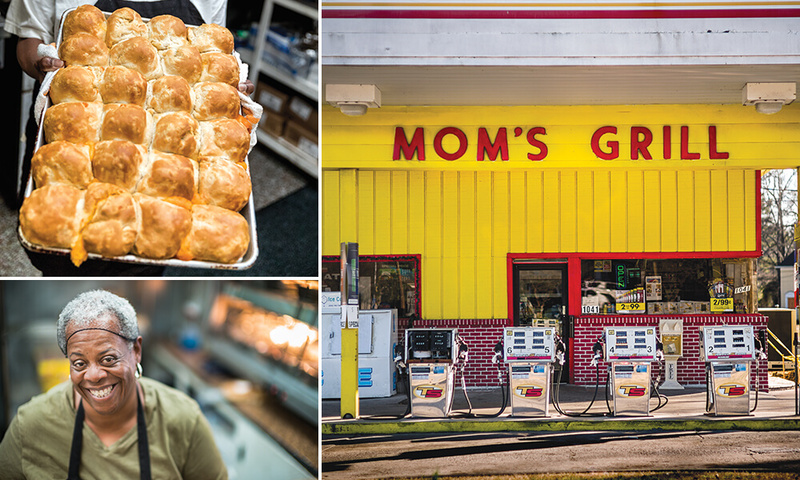 When Hurricane Matthew blew through last October, residents who lost power knew Mom’s Grill would somehow be open for business. And they were right. 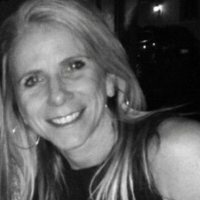 In the murky predawn hours, Miss Helen and her coworkers flipped on the ovens, and by 6 a.m., the tide of hungry folks was rising once again. Buoyed by cheese biscuits and hot coffee, they settled in to hear the latest news and swap stories that would inevitably begin and end with the river. There’s plenty to experience on land in Washington, though the water is never far from mind. 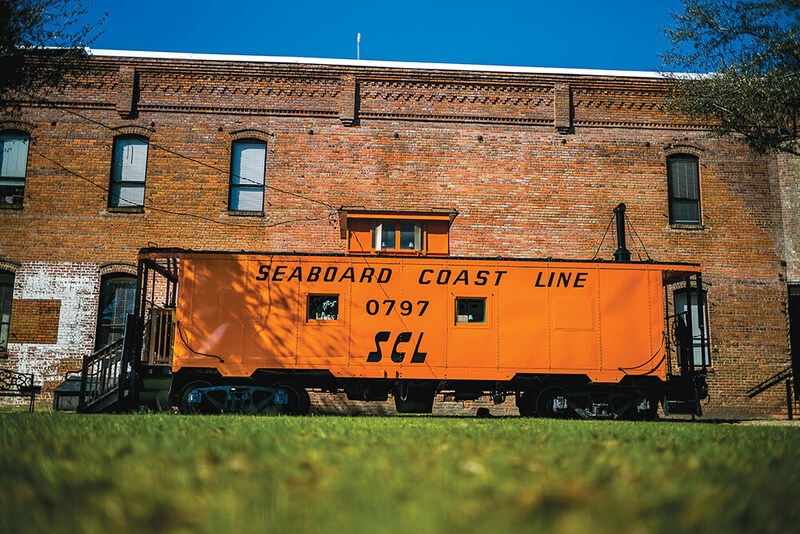 A few blocks from the North Carolina Estuarium (223 East Water Street) is the Underground Railroad Museum (corner of Gladden and West Main streets), inside a restored Seaboard Coast Line Railroad caboose. 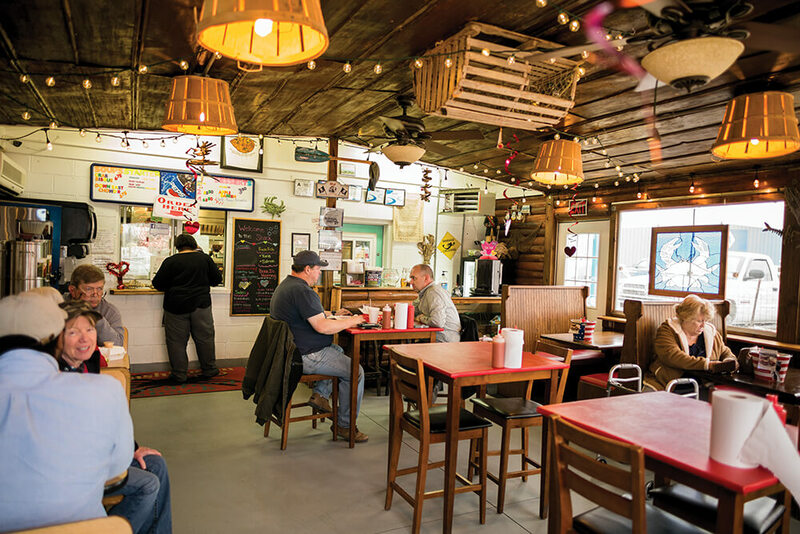 At Washington Crab and Seafood Shack, owners Amy and Tony Tripp keep things simple with paper plates; friendly service; and delicious crab, salty oysters, and trout brought in fresh daily. 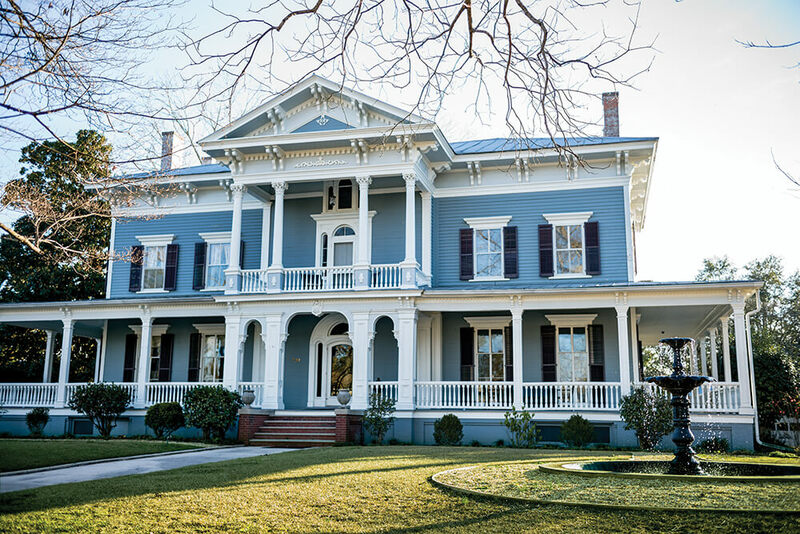 A short walk from downtown is the Elmwood 1820 Bed and Breakfast Inn. The owners offer five sumptuous bedrooms, and also operate river cruises aboard The Belle of Washington.